Have you ever been going about your every day routine when all of a sudden, you were given God’s unexpected (and undeserved!) showers of blessings? That is what happened to Rebekah, Bethuel’s daughter. 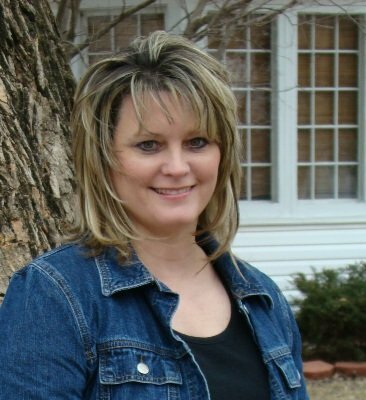 One day she was out filling her pitcher of water at the well for her family – doing the daily grind – when the hand of God opened a door to a great destiny for her that she had no idea was even there! In Genesis chapter 24, we read how Abraham told his oldest servant to go find a bride for his son Isaac from his own family outside Mesopotamia. He wanted to make sure that Isaac would not wind up marrying one of those Canaanite women where they lived! (Canaanites were idolaters). Just at that moment, beautiful Rebekah came out with a pitcher on her shoulder. The servant ran to meet her and said, “Please, let me drink a little water from your pitcher.” He didn’t waste any time. This man was on a mission! Notice how graciously Rebekah responded to this man, who was a complete stranger. Good thing she didn’t have an attitude that day and say, “Get your own drink, buddy!” She would have been really sorry later! Sometimes we read things like this in the Bible and miss the little details. Now, listen! Camels drink enormous amounts of water at one time. A very thirsty camel can gulp 36 gallons of water in six minutes! 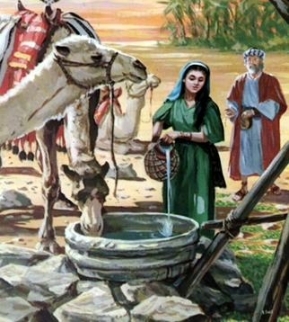 This servant had TEN camels with him, so this was a lot of water for Rebekah to draw! But Rebekah didn’t stop there, politely answering his question. She then offered him some generous hospitality. “Moreover she said to him, “We have both straw and feed enough, and room to lodge.” Now the servant couldn’t help himself; he began praising God! God had answered his prayers. And unknowing, innocent bystander Rebekah was about to have her socks blessed off! After explaining everything and giving her just a taste of what was to come, with a golden nose ring and two bracelets weighing ten shekels of gold, the servant waited while Rebekah ran to tell her mother’s household what had happened -talk about divine appointments! Rebekah’s brother Laban then ran to meet him by the well, inviting him to his house, and an already prepared place for the camels, too. Have you noticed all the running that takes place in this chapter? When God moves, He moves FAST! Whoo-hoo! The servant worshipped God, bowing himself to the earth. Then he gave the girlfriend some nice bling! Jewelry of silver, gold, and clothing. He also gave “precious things” to her brother and to her mother. You know mama was impressed! Then he and the men ate and drank, and he stayed all night. Rebekah had not even laid eyes on Isaac, and had no idea what kind of husband he would be. She would be far from home, away from the safety of her family. She was leaving all that was familiar and loved to embrace the unfamiliar, the uncertain, maybe even the fearful. Yet this young woman responded in absolute faith and trust in God! Now Rebekah and her maids left, riding on the camels with the servant. You can imagine all that Rebekah, and her family, must have been feeling as she rode away. God was already getting Isaac’s heart ready to meet his beautiful bride. As they approached, in the field at Beer Lahai Roi (“The well of the One who liveth and seeth me”), Isaac was meditating. Rebekah lifted her eyes and saw him. She dismounted from the camel and asked the servant who the man was, walking to meet them. The servant told her, “It is my master.” Can you imagine how hard her heart must have been beating? What if this man she was supposed to marry was dog ugly or mean as a snake? “So she took a veil and covered herself.” Veiling during the betrothal period was a Near Eastern custom. The unveiling came after the marriage. A love story doesn’t get any better than that! We can run straight into God and His wonderful purposes, doing the mundane tasks of life. Prayers need to be specific. Rebekah’s servant heart and faith in God brought her great blessings and an incredible, historical destiny. Rebekah had to be willing to leave what was familiar and safe to say “yes” to God, and as a result she experienced a new, exciting adventure, the desires of her heart for love, and her great future. Sometimes when you’re least expecting it, God miraculously sends showers of blessing on your life! Do you like what you see here? Sign up for my personal mailing list at the top of the page on the right hand side at www.bethjones.net. You will receive my free special report, PLUS my ecourse on Keys To Intimacy, links to the latest podcast, ebooks, event and product annoucements, and much more! I didn’t know that about camels – wow – she must have been there for quite some time!